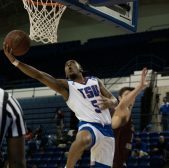 The TSU Lady Tigers had their home opener on Thursday night versus the undefeated South Alabama Lady Jaguars. Unfortunately for the Lady Tigers, things did not go their way, as they lost to the Lady Jaguars 78-56. 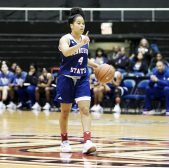 The Lady Tigers started the game out strong behind the scoring of sophomore Jaden Wrightsell and redshirt senior Tia Wooten. The duo would combine for 13 of the Lady Tigers 15 points in the first quarter, with Wooten leading the Lady Tigers with 8 points in the quarter. 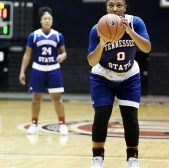 When asked about if there was an effort to get Tia going early, Coach Jessica Kern had this to say: "I think she (Tia) is a seasoned senior who deserves the respect of the offense going through her. " In the second quarter though, that was when the Lady Jaguars began to flex their muscles. 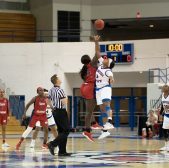 They would outscore the Lady Tigers 25-9 in the second, giving South Alabama a 45-24 lead at the half. In the second half, the Lady Jaguars would maintain their lead, with the Lady Tigers not getting any closer than 18 points to South Alabama the rest of the game. When asked about the decisive second quarter the Lady Jaguars had over the Lady Tigers, this is what Coach Kern had to say, "I'm gonna put that on me. We made a very big focus on being tougher and stronger and our wind is not where it should be. But that's ok because everybody knows that I have a strength and conditioning background and running is what I like to do. We are getting ticky-tack fouls in the second quarter which is giving us an offensive lull. Main scorers are having to sit for a minute and we're putting role players in. That cannot continue to happen. So, we're gonna go back to what works for us and what works for us is running. And that's what we're gonna do to stay out of getting lazy fouls." "I've had several people ask how do you keep the morale up? How do you guys continue to come back each and every day? It's Game 8 and it's a long season number 1. Number two, we always walk by faith. I'm a firm believer that we will look at this. I will go in my office and we will figure out a gameplan for tomorrow and today is over and we push the reset button and we go back at it tomorrow. Our morale will always be high. Our energy will always be great. We will always stand united and eventually you turn the corner." 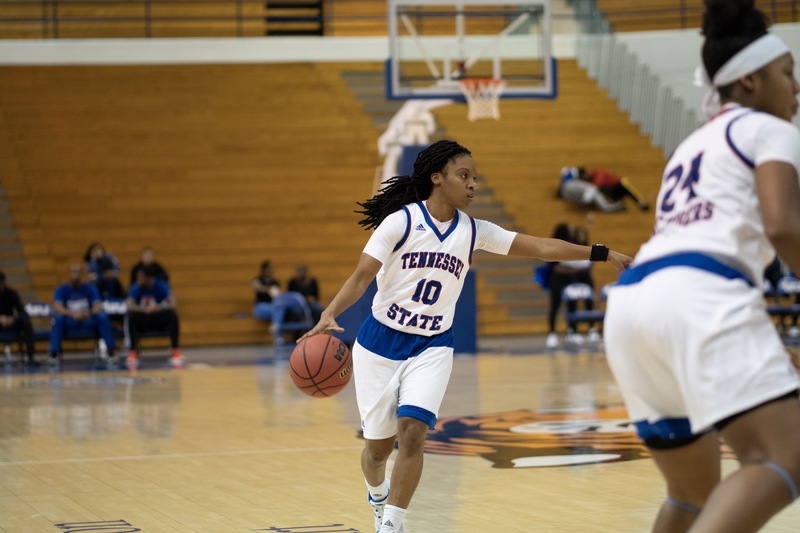 The Lady Tigers were led in scoring by Tia Wooten with 14 points and sophomore Taylor Roberts with 11 points. The Lady Tigers face the University of Louisville next on December 2nd.